So, I was cutting out a pattern the other day and I noticed something interesting about sizes. I’m looking at this pattern and cutting out a size 12. I’m thinking to myself, “Wow! There is a lot more space between the 12 and 14 line than there is between the 10 and 12 line. And that 8 and 10 line are close!” So, I look. And sure enough, our American women’s sizes are not set increments larger. There is much less difference between a 4 and a 6 than there is between a 12 and a 14. The smaller sizes (4-10) only have an inch of difference between them. There is and inch and a half difference between 10 and 12. And from 12 to 26, there are 2 inches between each size. But what does it all mean? You ask. Well, it mean, that the smug I-wear-a-size-6 chic at the mall isn’t all that she thinks she is. Think about it. Anyone can squeeze down an inch. But two?! Oh, now that is another story. It also means that when you loose from a size 20 to an 18, you have accomplished much more than someone who squeezed from an 8 to a 6. 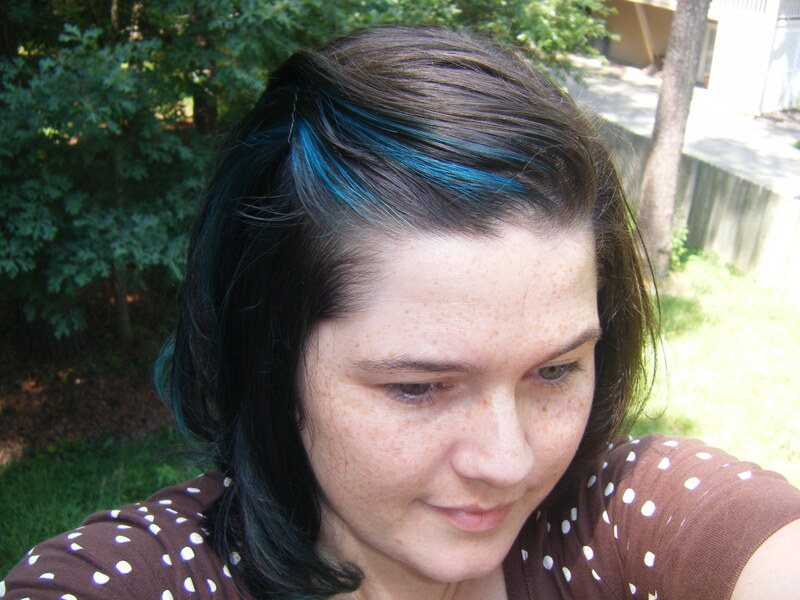 A picture of my turquoise hair, which is entirely unrelated to the post, but I cannot post without a picture. You crack me up! Even notes on sizing are entertaining!